At GrafTech, we provide highly engineered, industry-leading services, solutions and products for our steelmaking customers around the world. For shareholder inquiries, please contact GrafTech’s transfer agent, Computershare. The analysts listed here follow GrafTech. We believe the list to be complete but can provide no assurances. Please note that any opinions, estimates or forecasts regarding GrafTech’s performance made by these analysts are independent of GrafTech and do not represent opinions, estimates or forecasts of GrafTech or its management. GrafTech does not by its reference imply its endorsement of or a concurrence with such information, conclusions or recommendations. In order to ensure success and long-term value for employees, customers, communities and shareholders, GrafTech is committed to good corporate governance – from its Board and executive officers to its policies and commitments to transparency. Sign up to receive email alerts about upcoming events. 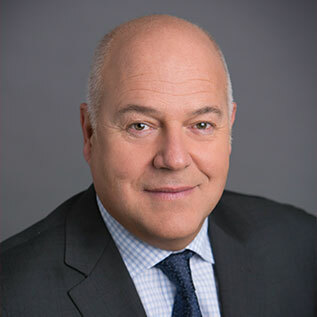 Denis A. Turcotte, Chairman, GrafTech International Ltd. and Managing Partner, Brookfield Asset Management Inc.
Denis A. Turcotte was elected to the Board of Directors in 2015 and became Chairman in March 2018. Mr. Turcotte is currently a Managing Partner in Brookfield’s Private Equity Group, responsible for business operations. Prior to joining Brookfield in 2017, he was President and Chief Executive Officer of North Channel Management and North Channel Capital Partners, business consulting and private investing firms, from 2008 to 2017. He was also a member of the Board of Directors of the general partner of Brookfield Business Partners L.P., an affiliate of Brookfield, from 2016 until he joined Brookfield in 2017. From 2002 to 2008, Mr. Turcotte was the President and CEO and a director of Algoma Steel Inc., a publicly listed North American steel company; and from 1992 to 2002, he held a number of senior executive positions with companies in the pulp and paper industry, including President of the paper group and Executive Vice President of Corporate Development and Strategy of Tembec Inc., a leading integrated forest products company with operations in North America and France. Since 2012 and 2007, Mr. Turcotte has been a Board member of Norbord Inc. and Domtar Corporation, respectively. He was previously a Board member of Coalspur Mines, Ltd., from 2010 to 2015, and Algoma Steel Inc., from 2002 to 2008. Mr. Turcotte holds a bachelor of engineering from Lakehead University and an MBA from the University of Western Ontario. 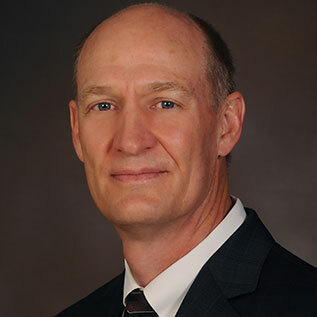 Brian L. Acton was elected to the Board of Directors in 2018. He brings more than 25 years’ experience in the mining and bulk materials distribution industry, primarily devoted to marketing coal, petroleum coke and other raw materials. He also has extensive experience as a distribution and logistics provider to the coal industry throughout Canada, South America, Asia and Europe. Since August 2013, Mr. Acton has served as President at Pac Basin Resources LLC, a mining and metals company. From July 2010 to June 2013, he served as a consultant to Oxbow Carbon & Minerals Holdings, Inc. From 1996 to 2009, Mr. Acton served as President and COO of Oxbow Carbon and Minerals Holdings Inc., and as President and Chief Operating Officer of Oxbow Energy Solutions, LLC, from 1985 until 2010. Mr. Acton served on the Board of Directors of Adriana Resources Inc., from March 2012 to February 2017. While on the Board, he served as Chair of the Compensation Committee, from 2012 to 2017, and as a member of the Audit Committee, from 2014 to 2017. Mr. Acton is a graduate of Queen’s University and holds both a bachelor of science in mining engineering and applied science and a master in business administration. Ron A. Bloom, Managing Partner and Vice Chairman, Brookfield Asset Management Inc.
Ron A. Bloom was elected to the Board of Directors in 2017. Since 2016, he has been a Managing Partner and Vice Chairman at Brookfield, where he focuses on private equity investments. Prior to joining Brookfield in 2016, from 2012 to 2016, Mr. Bloom was Vice Chairman, U.S. Investment Banking, at Lazard, where he focused on restructurings and mergers and acquisitions. Prior to joining Lazard, he served as Assistant to the President for Manufacturing Policy, from February 2011 to August 2011, where he provided leadership on policy development and strategic planning for the White House’s agenda to revitalize the manufacturing sector. He led the discussions with the auto industry, for example, which resulted in the industry’s support for new fuel economy standards. Prior to joining the Administration, he served as Senior Advisor to the Secretary of the Treasury, from 2009 to 2011, where he helped lead the restructuring of General Motors and Chrysler LLC, and then led the Treasury’s oversight of those companies thereafter, including General Motors’ initial public offering. Mr. Bloom received his undergraduate degree from Wesleyan University and graduated with distinction from the Harvard School of Business. Catherine L. Clegg was elected to the Board of Directors in 2019. Ms. Clegg is a senior automotive industry executive with General Motors Company with extensive experience in manufacturing operations, manufacturing engineering, labor relations, public policy, and cultural transformation. Since 2017 she has been the Vice President, Business Intelligence, Global Public Policy, where she leads policy analysis and strategy; developing and aligning business priorities in the context of government policy initiatives in key countries and regions around the world. Ms. Clegg previously led GM’s manufacturing operations and labor relations in the US, Canada, and Mexico as Vice President North America Manufacturing & Labor Relations from 2014 to 2017. She also served as Vice President Global Manufacturing Engineering from 2013 to 2014 and Vice President GMNA Labor Relations from 2010 to 2013. Ms. Clegg received her undergraduate degree from Eastern Michigan University and her MBA from University of Virginia Colgate Darden Graduate School of Business Administration. Ms. Clegg also earned a Master of Arts in Advanced Leadership Studies and completed extensive advanced coursework on Organizational Leadership at Indiana Wesleyan University, as well as executive education at Harvard University and Stanford University. Michel J. Dumas, Former Executive Vice President, Finance, and Chief Financial Officer, Tembec Inc.
Michel J. Dumas was elected to the Board of Directors in 2018. He has over 30 years’ experience in the lumber, pulp and paper industries. From 1997 until 2017, Mr. Dumas served as the Executive Vice President, Finance, and Chief Financial Officer of Quebec-based Tembec Inc. He also served on the Tembec Board of Directors, from July 2001 to September 2008, and again from January 2011 to February 2017. Mr. Dumas served as a director of Marathon Pulp Inc., from February 2000 to February 2009, and of Jager Building Systems, from August 2001 to September 2008. From 1991 to 1997, he was Vice President, Finance, and Chief Financial Officer at Spruce Falls Inc., a newsprint mill. Prior to joining Spruce Falls, he served as Controller at Tembec, from 1985 to 1991. Mr. Dumas received his undergraduate degree in commerce from the University of Ottawa. Jeffrey C. Dutton, Managing Director, Brookfield Asset Management Inc.
Jeffrey C. Dutton was elected to the Board of Directors in 2017. 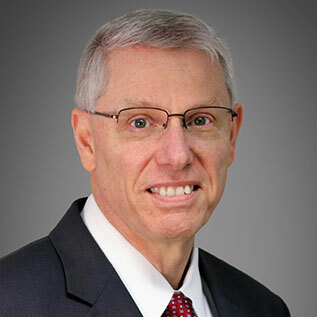 Previously, he served as President and CEO of the Company, from January 2017 until March 2017, and as Vice President and Chief Operating Officer, from August 2015 until January 2017. In these roles, he oversaw all aspects of the Industrial Materials and Engineered Solutions businesses. Mr. Dutton is a Managing Director in Brookfield’s Private Equity Group, responsible for business operations as well as due diligence within potential target business segments. He joined Brookfield in 2013, coming from one of Brookfield’s operating subsidiaries and an extensive career in the pulp and paper industry, having held senior management positions at several companies. Mr. Dutton served as the CEO and President of Twin Rivers Paper Company, from 2010 to 2013. He served in various executive capacities at Fraser Papers Inc., from 2008 to 2010, and as General Manager of East Papers operations at Fraser Papers Inc., from 2006 to 2008. He also served as President of Republic Paperboard Company of Eagle Materials Inc., from 2004 to 2006. Mr. Dutton served as a director of Twin Rivers Paper Company in 2013, and has served as a director of the Hammerstone Corporation since 2014. Mr. Dutton received his bachelor of science in mechanical engineering technology from the University of Maine. 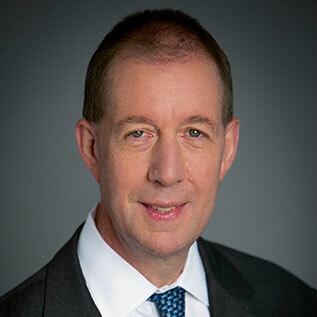 David J. Rintoul, President and Chief Executive Officer, GrafTech International Ltd.
David J. Rintoul became President and CEO and was elected to the Board of Directors in 2018. Prior to joining the Company, Mr. Rintoul served as President of U.S. Steel Tubular Products and as a Senior Vice President of United States Steel Corporation (U.S. Steel). Before that, Mr. Rintoul served in various roles at U.S. Steel beginning in 2007, including oversight of U.S. Steel’s Slovak and Serbian operations. Mr. Rintoul’s career in the steel industry spans 38 years, with positions at both integrated and mini-mill producers in the United States, Europe and Canada, including extensive mini-mill operational experience at North Star Bluescope Steel in Delta, Ohio, from 2001 to 2005; and from construction through full operations at Acme Steel Company in Riverdale, Illinois, from 1995 to 2001. Mr. Rintoul holds an associate’s degree in mechanical engineering technology from Sault College of Applied Arts and Technology, a bachelor’s degree in business administration from Lake Superior State University and a master’s degree in business administration from the University of Notre Dame. 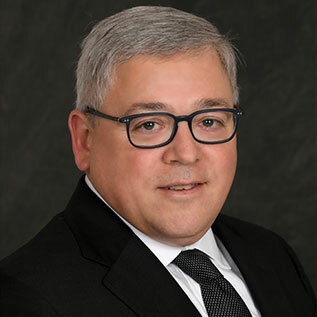 Anthony R. Taccone was elected to the Board of Directors in 2018, with over 30 years’ consulting experience with companies in the global steel industry and with interests in the steel industry, including suppliers, customers and investors. Since March 1998, he has served as a Founding Partner and co-owner of First River LLC, a boutique strategy consulting firm. At First River, Mr. Taccone has worked with senior management teams, boards, investors and government agencies on challenging and complex issues facing companies in the steel industry, including financial restructurings, capacity rationalizations, mergers and acquisitions, major capital investment decisions, raw material integration strategies and investments in downstream businesses. Prior to joining First River, Mr. Taccone was a strategy consultant at Beddows & Company, from 1988 to 1998. From 1994 until 1998, he was the North American practice leader and served on the Beddows & Company Board of Directors. 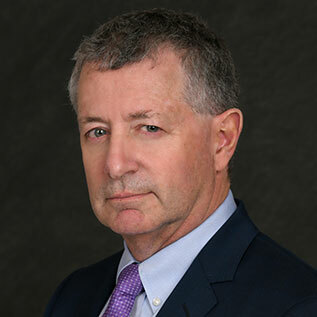 Prior to his career as a steel industry consultant, Mr. Taccone worked at Mellon Bank as a Country Risk Economist, from 1985 to 1987, and an Industry Economist from 1987 to 1988. He received his undergraduate degree in economics from Washington & Jefferson College and his master’s degree in economics from Duke University. 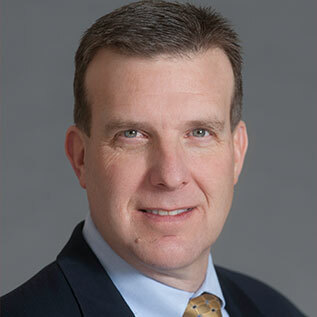 Quinn J. Coburn was appointed GrafTech’s Vice President and Chief Financial Officer in 2015. In this role, he oversees finance, investor relations, tax and treasury. Mr. Coburn has over 20 years of corporate finance, treasury, accounting, planning and analysis, tax and corporate development experience. Since joining GrafTech in 2010, Mr. Coburn has also served as GrafTech’s Treasurer and Vice President of Finance. 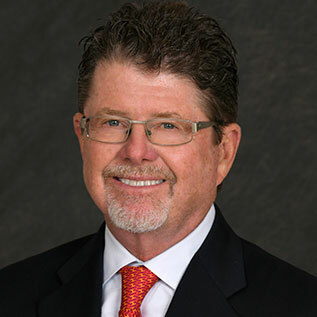 Prior to joining GrafTech, he served as Vice President and Treasurer of NCR Corporation. He holds an MBA from University of Pennsylvania’s The Wharton School and a bachelor of science in accounting from Utah State University.